In what may be one of the most interesting leaks thus far in the road to the official Nexus 5 announcement, today Google seems to have accidentally confirmed both the Nexus 5's name, appearance, and starting price. 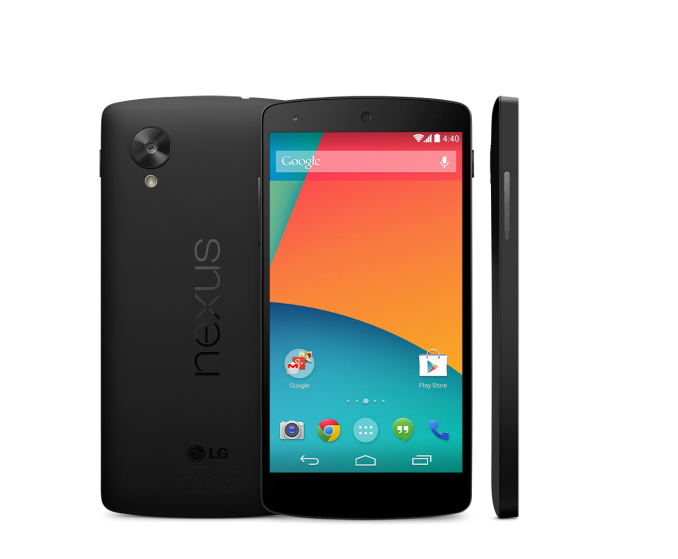 The Nexus 5 went live on the Nexus category of Google Play, with the name and starting price of $349. 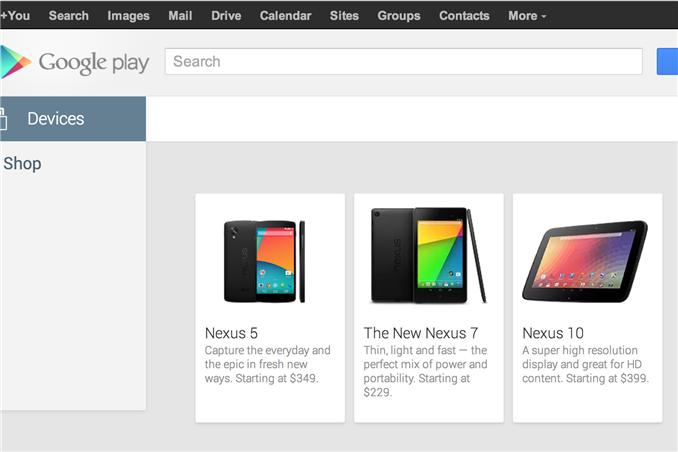 It has since been changed back to show the Nexus 4. We've already seen its appearance in a Google KitKat video, later from the FCC, and finally in the leaked service manuals for the LG-D821 variant (which I believe is the EMEA banding variant, LG-D820 will be for the USA), someone also dug up a higher resolution image of the Nexus 5 confirming its appearance. So we know some specs (MSM8974 Snapdragon 800, with LTE and likely an 8 MP camera with OIS), and price $349, all we need is an official launch date and announcement. At this point the announcement could be a 14 second clip of them saying "So yeah, you know literally everything about this phone, here ya go" and that would be ok, lol. I don't think they even tried to keep it a secret, there is quite a hype train around it thanks to all the leaks.